Sometime while I was sleeping, Don't Eat the Paste went over 3,000,000 pageviews. I'm insanely happy about it and trying to figure out some really good way to celebrate. 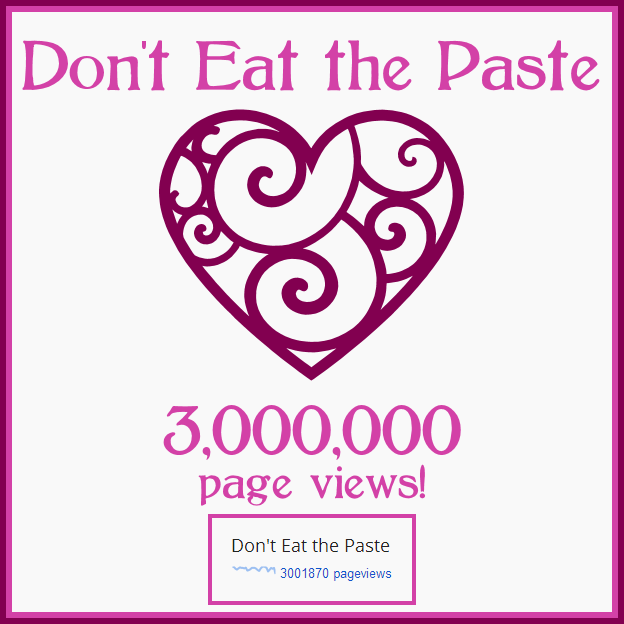 Thank you so much, to the people who comment regularly, email me, pin images from this page, and follow on Facebook. Your encouragement and support means just the world. Thank you. My Facebook page is also very, very close to 1000 likes now! Now it seems a bit anti-climatic, but there were a few other things that I've been meaning to post about because they make me super happy. 1. This one may seem strange to you, G7 Power LED light bulbs! As some of you know, I'm a top reviewer on Amazon.com, which means that sometimes companies email me asking if I'd be willing to review products. Making the switch to LED bulbs is something that my husband and I have talked about often but the brands we tried didn't suit our lighting needs. They were dim, or had a directional spotlight effect. So when I got the email from G7 Power, I was skeptical but hopeful. Generally companies don't ask for reviews until they are very confident. They are fantastic. The light is a soft white, and bright enough with a good flood instead of a spotlight effect. The standard type of bulbs are very bright, and need to be some place that has a shade of some sort. I have one of the globe bulbs in my ceiling fan fixture and it's lighting up my living room. They do cost a bit more initially, but they have a very low power draw (10 watts for a 60 watt equivalent bulb) and are made from a shatterproof plastic that really looks like glass. They last an incredibly long time and even come with a lifetime guarantee. I told my son he will inherit those light bulbs as a joke, but it's actually a possibility. 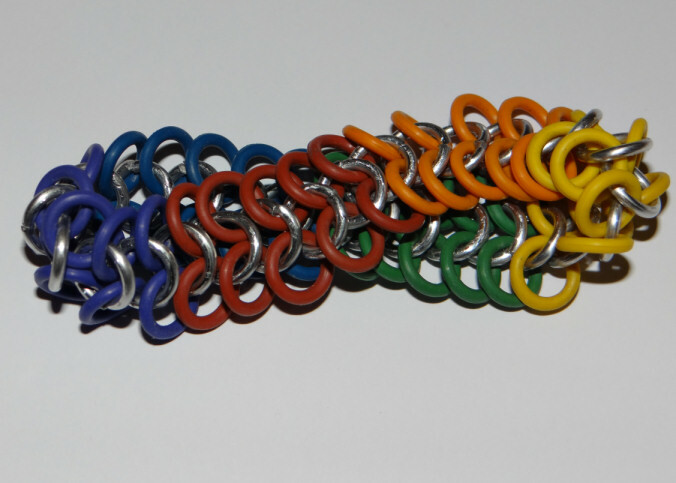 The colored rings are very stretchy which makes this claspless! 3. The Ring Lord pre-cut rings- not an affiliate link, but if anyone wanted to get me a gift certificate I'd be all sorts of happy. 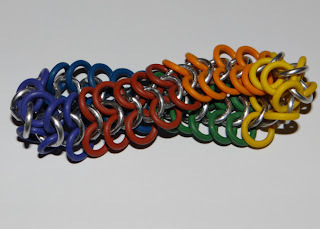 I ordered from them because my son and husband want to learn to knit chainmail. They haven't started yet, but I've made 3 bracelets so far. I've been considering posting a tutorial if anyone is interested. Made of bronze rings. This is a nice sized cuff.